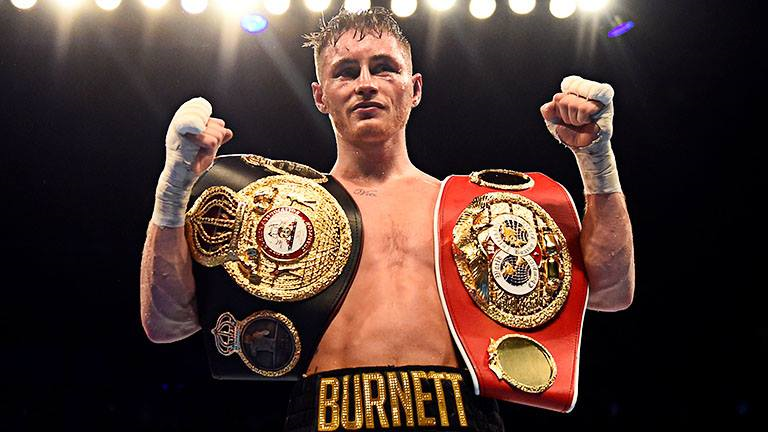 Undefeated WBA bantamweight champion Ryan Burnett 19-0 (9) will be competing in season two of the World Boxing Super Series (WBSS) it has been confirmed. Speculation has been rife over the past few weeks that Burnett would not be taking part in the competition after his name was removed from marketing material and the WBSS website, but a media release issued by tournament organiser Comosa AG on Tuesday confirmed his participation. As reported by RingNews24.com almost a fortnight ago (Nonito Donaire returns to bantamweight to join WBSS, Mikhail Aloyan rumoured to join him) four-fight professional novice Mikhail Aloyan 4-0 has been added to the tournament as a wildcard entry. Despite his lack of pro experience Russia’s Aloyan is a former amateur standout at flyweight who won bronze at the 2012 Olympics in London and silver at the 2016 Olympics before being disqualified in Rio after testing positive to the banned substance tuaminoheptane. The two-time amateur world champion is coming off back-to-back split decision wins for the WBA International bantamweight title as a pro in his native Russia. “I am glad and proud that I have an opportunity to participate in this tournament,” said Aloyan, the WBA number five and IBF number nine ranked 118-pounder. “Ali is the hero of all boxers in the world, so to fight for his trophy is a great honour. Burnett and Aloyan join WBO champion Zolani Tete of South Africa 27-3 (21), IBF champion Emmanuel Rodriguez 18-0 (12) of Puerto Rico, WBA “regular” champion Naoya Inoue 16-0 (14) of Japan, former four-division world champion Nonito Donaire 38-5 (24) of the United States by way of the Philippines, former world titleholder Juan Carlos Payano 20-1 (9) of the Dominican Republic and IBF mandatory contender Jason Moloney 17-0 (14) of Australia. Six of the eight participants are ranked in the top eight by Boxrec.com, while the Ring magazine’s five top ranked bantamweights are all participating. On Friday 20 July, all participants of the bantamweight and junior welterweight editions of season two of the WBSS will come face-to-face at the Draft Gala at the Rossiya Theatre in Moscow, Russia.